Home » 25 Days of Giving: Marpac Giveaway! While our 25 Days of Giving extravaganza may be winding down, we’re not quite done yet, so let’s keep the party jumping with a brand new giveaway from Marpac! 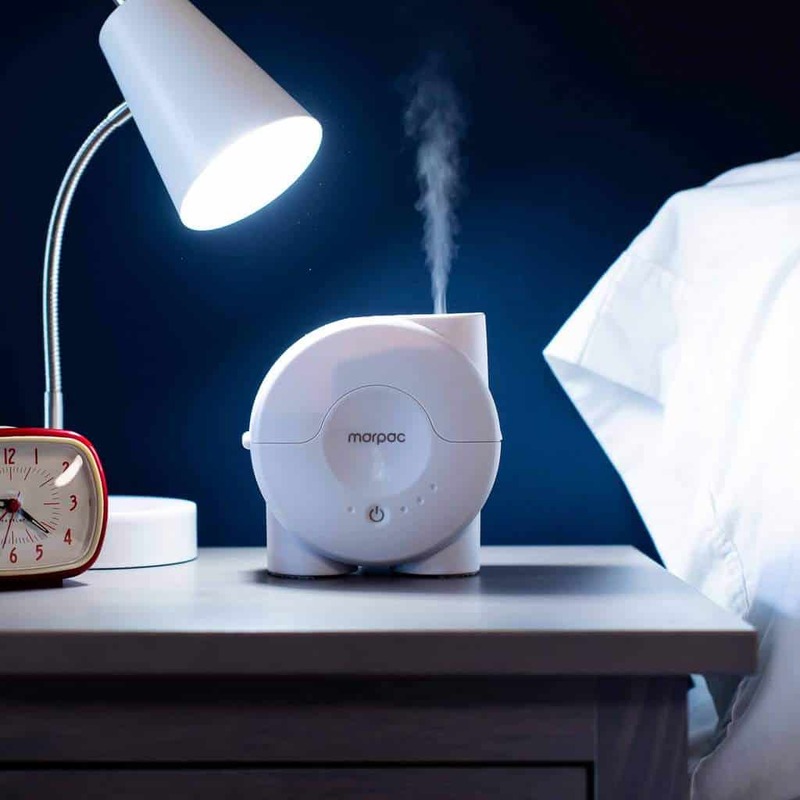 In addition to its all-foam Yogabed mattress, Marpac also sells a variety of different sleep products, including sound machines, scent diffusers, and essential oils. That means this giveaway won’t include a bed, but will be chock-full of amazing goods guaranteed to up your overall sleep game. And follow along for the last week on our 25 Days of Giving page! PlushBeds for me – organic, healthy to sleep on and very comfortable! I like the Zenhaven and the Purple mattresses but I would be thrilled to win any of them. I would love anyone of them but I think I would love to have the purple mattress. Thank you for sharing. And to @Savannah above, essential oil diffusers are so nice! I have one, and use it daily. It’s especially nice in the winter. Diffusing peppermint right now. The Zenhaven has remained my favorite, but as I’ve commented before, they’re all lovely. 💜 Happy New Year! I like all the mattresses but the DreamCloud looks great. Some things are just too good to be true (free)! All of the mattresses look great, especially considering what I am currently sleeping on. but my favorite so far is the Zenhaven and I also like the GhostBed Luxe! They all sound like heaven compared to our old worn out mattress. Zenhaven looks really nice. But at the same time, most of them do. my absolute favorite is the Zenhaven. It sounds great. I know we’re running out of time but I still hope to win. On a side note, I love essential oil diffusers too. I think ZenHaven is my favorite. My favorite latex mattress is the Zenhaven! Fingers crossed! This Marpec mattress looks awesome! Thank y’all so much for this amazing blessing. My Army Veteran husband and I need a new bed so badly! Good luck everyone! 🍀🍀🤞🏻🤞🏻 Happy Holidays! My favorite latex mattress is the Avocado Green latex mattress. Thank you for the opportunity, I would love one of these for our guest bedroom! Woo! Another chance to win! Good luck to all! Yogabed seems like a great mattress for women. Pick me! Pick me. I love it! I am going to order a sound machine. I’m a side sleeper so this mattress sounds suberb! The Nest Hybrid is my favorite. This giveaway is amazing! I would love a bunch of sleep aid products. Cool giveaway! I would love to win this mattress package. Thank you for the chance! All of the mattresses sound comfortable and wonderful! I’ve heard so many good things for so long about Tempur-Pedic, I would have to go with a beautiful, new Tempur-Pedic! Oh yeah this is wonderful! !! I think this is my new favorite mattress you have reviewed! :-) Thank you. This is so amazing . I am excited about this giveaway . Best latex mattress is the spindle. I think Zenhaven would suit me well. wow just amazing how far mattresses have come in such a short amount of time…id take anyh of them but …oh who am i kidding i cant pick just one! My favorite one has been the Casper. Really, any mattress would be ideal! Boy oh boy…lots of new mattresses to choose from.. I like the purple mattress though they all have great qualities. The Morphiis is my fave. I would have to say wink beds is my favorite mattress but it keeps changing every month I like them all. Great-sounding products and I also love that both are Made in the USA!!! Sure would love to win both the Marpac machine and this Yoga-bed mattress! I still can’t decide what mattress I like best! This mattress looks amazing since it lets you sleep cooler and ita good for position changers! The Avocado the Nest and this one, they all sound wonderful with each review!!! I’d love to own the Zenhaven. Any product that would “guarantee to up your overall sleep game” is a winner! The Yogabed sounds good to me! Honestly this Marpac looks the best. My favorite mattress is the Purple because I’m a side sleeper. Thank You !! Wow. I do like the review on this yogabed. I like that it is cool to sleep on and for DH relieves pain with pressure point features. This could very well be my new favorite pick. This would help me sleep do good. I’m very partial to the Zenhaven mattress. I am game for anything that will improve me sleep. I wonder how these help you to sleep? It looks like I could go to dreamland on any of them :) The purple and Lessa are looking the best to me. This looks amazing. I need a bed that won’t hurt and this looks perfect! The more videos I watch, the more confused I am becoming. Who wouldnt want a comfy mattress and a good night’s sleep with SLEEPOPOLIS! I’m hoping one slides down my chimney!!! MERRY CHRISTMAS EVERYONE! I hope i win one of these mattresses! Thanks for a chance. The reviews on the purple and bear I thought was great, but now that I read the reviews on the Marpac sounds great too! My fav is the Casper but I love all of them! This Yogabed is absolutely amazing. I’ve never heard of this till now. I like the Zenhaven and the Purple matresses.